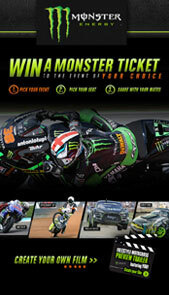 Imagine winning a grandstand seat or experience for the action sport you really want to see – with our ‘Win Monster Access’ promotion that is a reality. 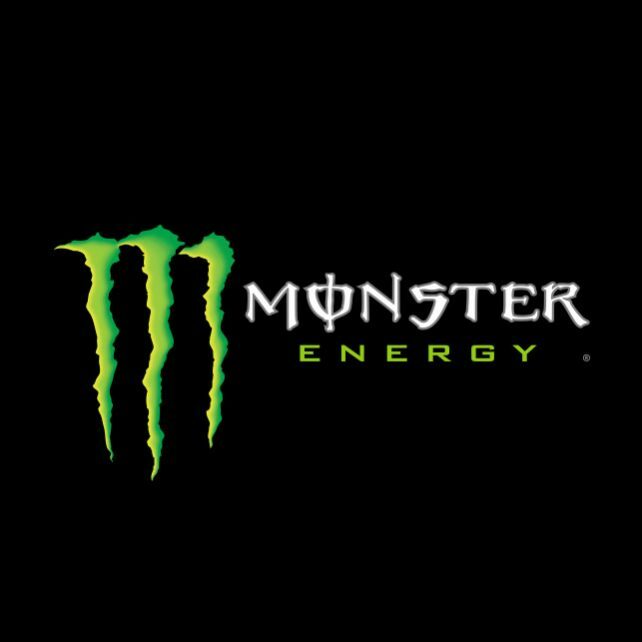 Our core insight addressed a problem that we identified with Monster’s prior promotions, which were limited to offering prizes relating to one sport only. 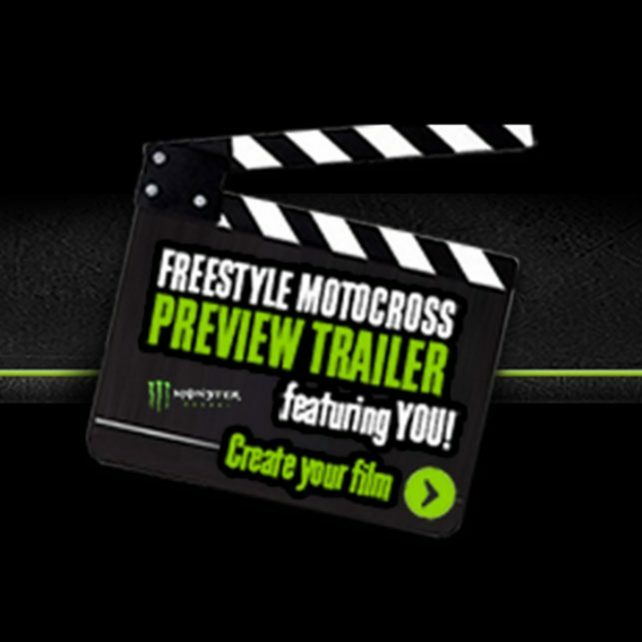 Our core insight addressed a problem that we identified with Monster’s prior promotions, which were limited to offering prizes relating to one sport only. Therefore, if the audience was not interested in this single sport, they had no interest in the promotion being run. 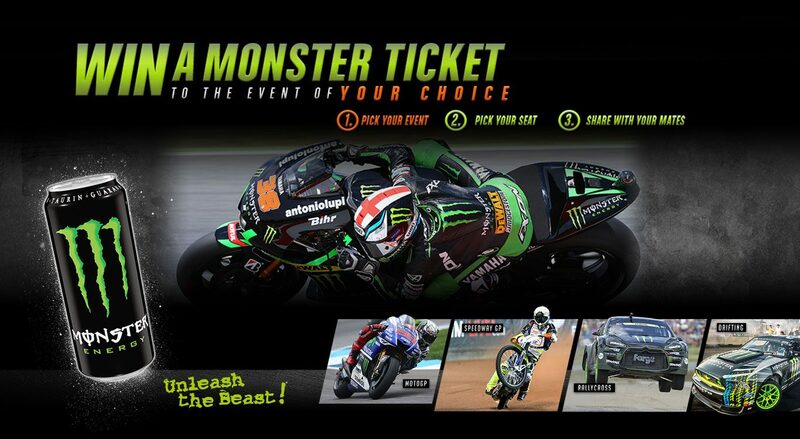 Our WIN MONSTER ACCESS promotion addressed that limitation head on with the idea of giving the fan base the opportunity to choose the exact sport to which they wanted to win tickets. 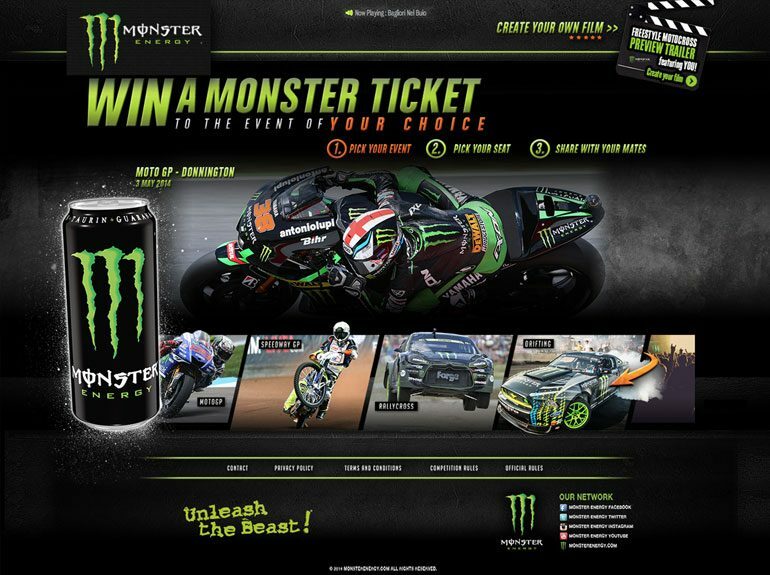 The promotion mechanic offered a choice of a number of different sports including Motocross, Moto GP, Gymkhana, WRC, FMX and live music events – this was designed so that the promotion and sports could be adapted on a territory by territory basis, enabling Monster to run a pan-European promotion with the same mechanic but appealing to local audiences with the sports on offer. 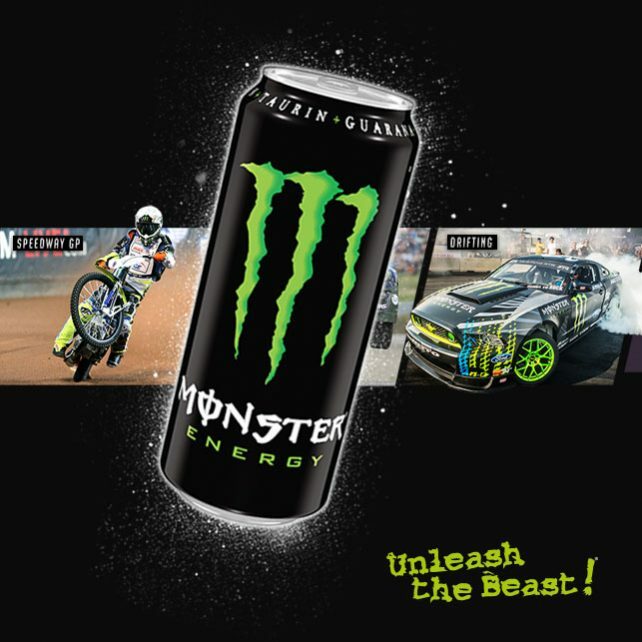 With this promotion, consumers could purchase a can of Monster Energy, visit their local Monster Energy website and enter a promotion to win the ticket of their dreams!